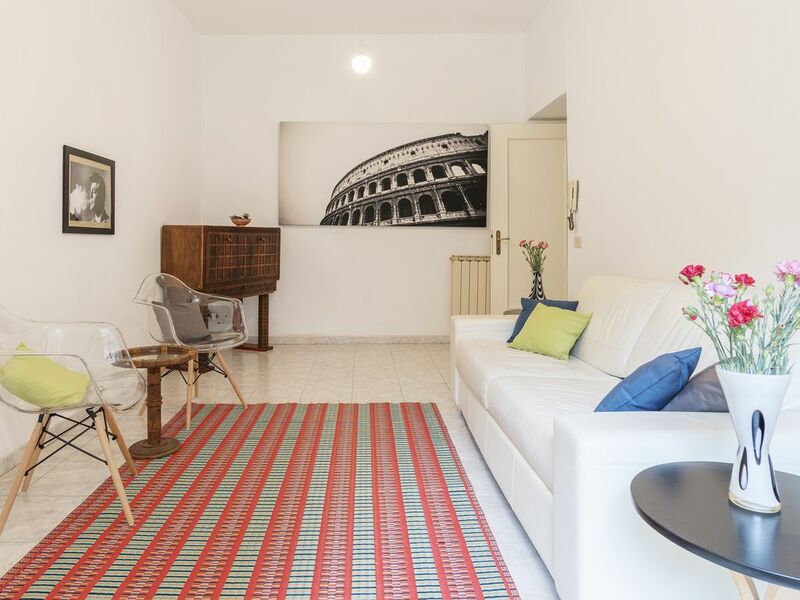 San Franceso a Ripa apartment is located on the first floor of a charming historic building located in the heart of one of the most vibrant areas of Rome. The flat overlooks a tiny and vivacious street with a unique Roman atmosphere. We are in Trastevere district, one of the last areas that have tenaciously maintained an authentic Roman character! Imagine to enjoy the mood of a once of a time village but being in the heart of a lively and super central area. This is something very special! The apartment is ideal for two or four people. It has been beautifully restored and furnished with taste and attention for the comfort. The accommodation consists of 1 double room with double bed, 1 living room area with the possibility to use the sofa bed, a well-equipped kitchen and a large bathroom with shower. The apartment is charming and perfect for the 2 of us. The layout is very good with a separate living area, kitchen and bedroom. It is on the first floor and there is an elevator as well. The pizza across the apartment is pretty tasty and value for money. Overall, a great apartment to stay and would definitely recommend the apartment. We really enjoyed our stay in Rome. The neighborhood was lively and filled with great places to eat and drink. The apartment was clean, large and comfortable. Wifi worked great throughout the apartment as well. I really loved staying in this apartment. The apartment was quiet, the rooms were bright, the furnishings were very comfortable. I really liked being able to have a leisurely morning and being able to make coffee and breakfast in the kitchen which is well supplied for anyone who would like to cook. The apartment is surrounded by many bars, restaurants, and grocery stories and is very close to public transportation. I would stay here again whenever I am in Rome. We had a great time staying here. Comfortable and good location. Only one problem - the key to front door takes great skill, patience, and occasional help from observers. A new key is needed. Staying here was very easy. We were met on arrival and shown around the apartment. Great central location, we were able to walk everywhere we wanted to visit. Try the pizza place across the road, it is amazing.